Nomadic (yard number 422) was launched 25 April 1911 and was delivered to White Star on 27 May, just in time to accompany Olympic on her sea trials two days later. She then went with Olympic to Southampton. From there she took up her station in France. 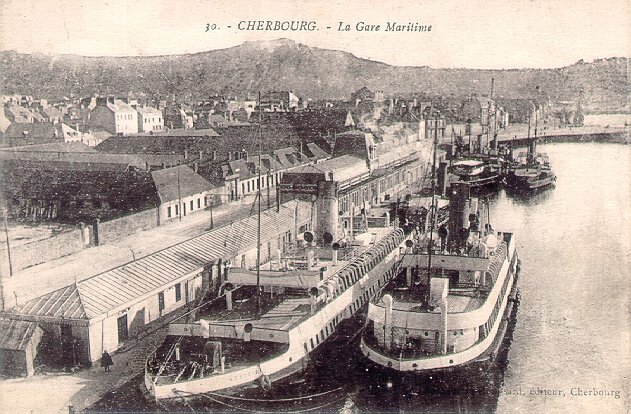 Except for naval service at Brest during World War I, she serviced IMM ships at Cherbourg until 1927. Soon after IMM sold White Star, White Star sold Nomadic and Traffic to Societe Cherbourgeoise de Transbordement. The pair was sold again in 1934 to Societe Cherbourgeoise de Remorquage et Sauvetage and Nomadic was renamed Ingenieur Minard. Ingenieur Minard fled across the channel when Cherbourg was occupied in 1940 and served as a British coastal patrol vessel until she returned to Cherbourg in 1945. She remained in service until 1968 and then wound up in Paris, near the Eiffel Tower, but on the opposite (right) bank of the Seine, intended as a restaurant, but apparently only served in that function for about a year or so in the late 1990's. In April 2003, after the removal of her superstructure, which was not the original, she was towed to LeHavre, where she remains to date. In January 2006, Nomadic was purchased by the government of Northern Ireland which, if sufficient financing can be arranged, plans to return Nomadic to Belfast. There she is to be refurbished to her 1911 appearance and made part of a planned tourist attraction in the Titanic Quarter development, located on the site of Harland & Wolff's former shipyard. Sources: Haws' Merchant Fleets; Moss and Hume's Shipbuilders to the World; Mills' RMS Olympic: The Old Reliable; Encyclopedia Titanica Message Board topics "Nomadic in Danger" and "Nomadic's Future;" Titanic Quarter web site.